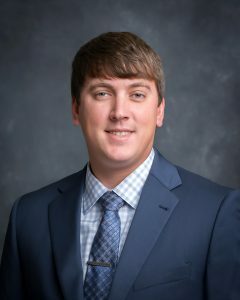 Tyler was born in Andalusia, Alabama, and he and his wife both reside in Andalusia. Tyler is currently reviewing for the CPA Exam and will sit for the exam later this year. In Tyler’s free time, he enjoys building and fixing old cars with his cousin, fishing with his father-in-law, traveling with his wife to watch live concerts, and visiting fun places in different states.